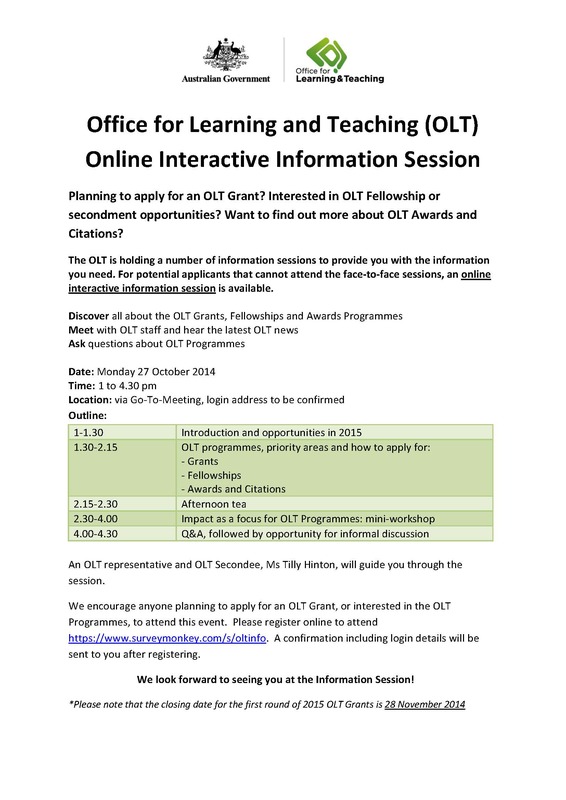 The Office for Learning and Teaching are running a series of information sessions to discuss enhancements to OLT programmes. 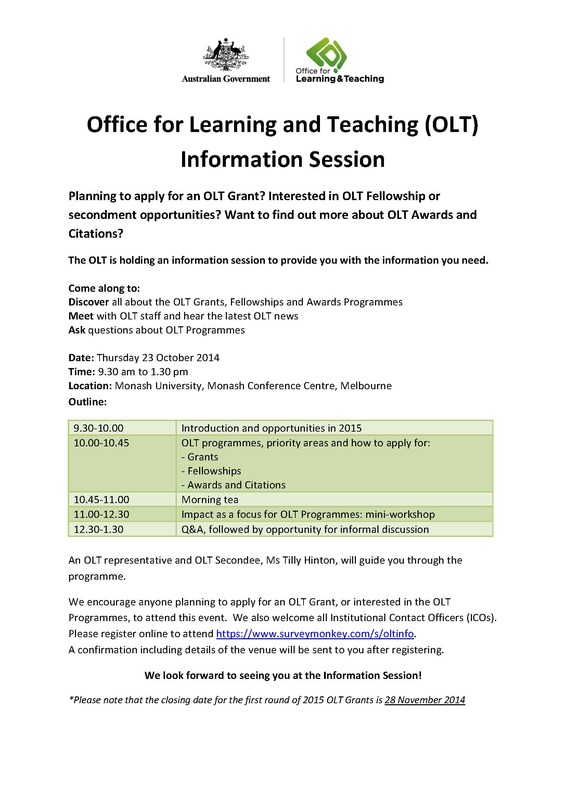 The information sessions will cover the OLT’s Grants, Fellowships and Awards Programmes, and will have a specific focus on applying for 2015 Grants. The sessions will also include a mini-workshop by Tilly Hinton, OLT Secondee, on project impact, which is a criterion for 2015 Grants. The flyers for the Victorian, Tasmanian and online session are attached. Registration is done online, and the OLT will send a confirmation email with details of the venue to participants in due course. The OLT would be grateful if you could encourage all potential applicants to attend this session as it has direct relevance to them. Please feel free to forward the flyer for the relevant session(s).